A volcanic summit (1364m) in the Clent Hills with sweeping views across the Ashburton Lakes basin. Signposted car park 500m down from Blowing Point, Ashburton Gorge Road, Mount Somers. Back in 2010, the Hakatere Conservation Park was extended to include Mount Barrosa in the Clent Hills. 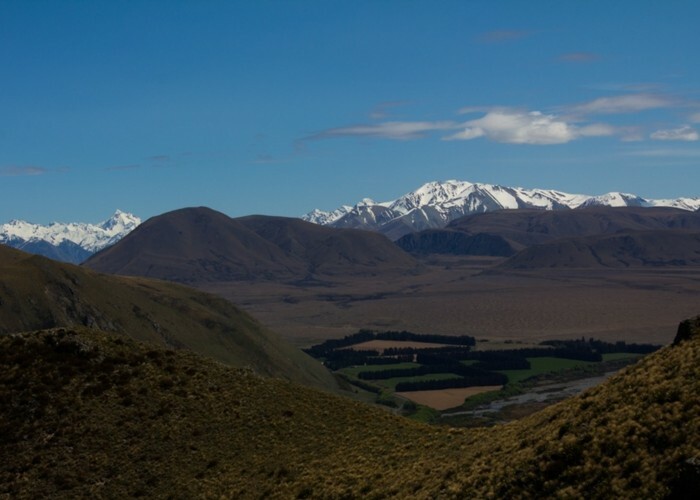 Easy to overlook on the way into Ashburton Lakes, this gentle summit offers rewarding views in all directions. Ashburton Lakes • By Matthew. Licence: C.
In good weather, this route is unchallenging. On claggy days, a map and compass are strongly recommended if you're not carrying a GPS as there are several spurs to lead you off the route. There are no exposed sections to this climb. From the car park, an easement over private land follows a fenceline and creek. The route crosses the creek and turns uphill at the edge of Hakatere Conservation Park. The poled route follows a daisy-clad spur. As you climb over the open ground, distant mountains begin to appear, and soon enough you can see the lakes to the west. 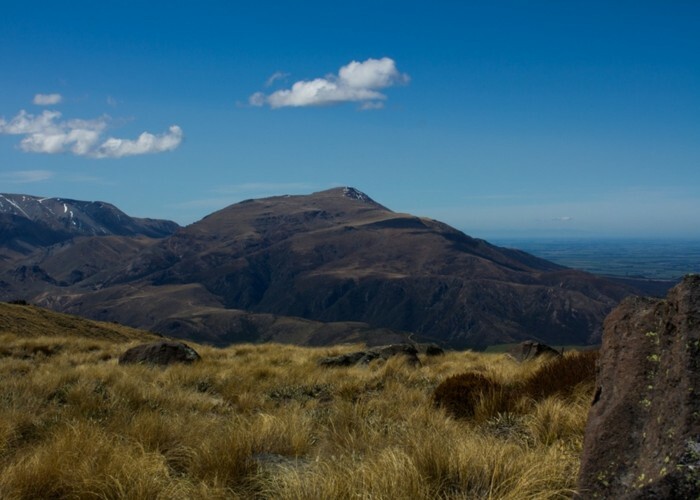 At around 1270m, the track meets a fenceline and opens views out to Mount Somers in the east, another old volcanic cone. A raggedy outcrop of columnar basalt stands here. Following the fenceline, the route climbs easily to the rounded summit, marked by scattered rocks and the remains of an old trig point. In spring or early summer, striking alpine herbs are in flower, including penwiper and the beautiful scree buttercup. Chips of agate scatter the ground where rockhounds have been, reminding you of this hill's volcanic provenance. An alternate route back is to continue on ahead and bend to the right, crossing points 1355, 1218, and 969. You can drop to the Stour River from here and follow the track out to the road about 5km east. Added 19 December 2011 by HonoraHonora. 4 revisions, most recently 23 October 2018 by MatthewMatthew. 313 views in the past year (26 per month).